We all here at Diesel Army have the opportunity to see some really incredible things. With that being said, we had an even bigger opportunity (a bucket list item, if you will) to make the trip to Abbotsford, British Columbia, Canada, and visit the manufacturing plant for all things BD Diesel Performance. For starters, Canadian scenery is amazing. If you’re looking to build a manufacturing plant of this size, I would recommend doing so in the beautiful mountains of Canada or somewhere similar. Though, the land in the Fraser River Valley is a premium, as it is in the so-called “Banana Belt” of Canada. Inside this 65,000-square-foot facility, over 130 highly trained employees work in a family-oriented environment. BD strives to be an innovative company and a world-class manufacturer that distributes products worldwide. Over the past seven years, their facility has leaned out with continuous improvements in all areas of production. What we will go over are some of the items BD Diesel Performance offers and what is new coming into the tail of 2018 and hitting the shelves come 2019. As the flourishing market for diesel pickup trucks grew, BD was hitting its stride. BD dates back to 1972 when Valley Fuel Injection LTD first opened their doors. The BD name in BD Engine Brake, also known as BD Diesel Performance, was recognized in 1989 when the company introduced the first exhaust brake for the diesel truck market. Today, Valley is the BD Diesel Truck Service & Performance Center, and serves as the dyno testing and vehicle repair center. As you can see, the turbos that go through this facility are given high levels of scrutiny. The precision tooling BD uses will make them top-shelf parts when all is said and done. The turbocharger industry is key to BD’s manufacturing. Rest assured, if you’re looking to service or upgrade your turbocharger from BD Diesel, they deliver on high expectations by using state-of-the-art parts and precision equipment. Every turbocharger that comes in the door has the top-tier quality part and process, to the point of receiving high-speed balancing on BD’s VSR turbocharger balancing machine. Although some say the internal parts they’re selling are balanced and ready, there is no way they are going to be dead balanced as a rotating assembly for your turbocharger unless they are tested in this type of equipment. Keep in mind, if you’re wanting to upgrade compressor wheels, it is recommended that you have it balanced after an installation. Depending on what size turbocharger is on the VSR balance machine, they can spin these snails up to 70,000 RPM. Stand back. As a matter of fact, we spoke with the machine operator, and he told us that most turbochargers aren’t that violent, but when it comes to the 6.0-liter Power Stroke turbochargers, they have to wear protective gear because they can get rowdy. Compressor, turbine, and center sections are all thoroughly tested and examined here at BD Diesel. With BD's highly-trained professionals and their experience, they can repair, replace, and test a huge number of pumps and injectors. BD’s fuel injection department is second to none. The technicians only use Bosch-certified machines, so you are guaranteed that all your fuel components have dead-on specifications. P7100, rotary VE, VP44, and CP3 injections pumps are all easily repaired and rebuilt for stock and performance. The same goes for mechanical and common rail fuel injectors. BD's clean assembly room is Bosch-approved, having been built to Bosch's requirements to ensure precision quality. Inside the fuel department are a few important rooms. The injector teardown room is a larger room, containing several important areas. These include the go-no-go injector tester, as well as a “clean room” that contains state-of-the-art Bosch equipment that guides in the proper assembly and torque of the fuel injectors. There is also the calibration room, which controls computer-driven test benches to meet stock or performance settings. All injectors that head out the door run through a tester for a cycle to ensure the balance rates and flow percentages are 100-percent in specifications. During transmission testing, they check for firm shifts, torque converter lockup, cooler flow, and external leakage. BD wants to be a leader in every aspect of the diesel industry, so why stop at turbochargers? “Here at BD, we do more than just tear the transmissions apart and rebuild them,” said Brian Roth, owner of BD Diesel Performance. “We actually design them to handle more torque and more horsepower for different drivers.” Whether you’re towing a trailer, sled pulling, or even drag racing, BD has a transmission to meet your needs. Using this testing machine, BD can mimic actual driving conditions and put every transmission through its paces. This process will provide customers with peace of mind knowing that every transmission works perfectly when it exits the building. This is BD’s redesigned 68RFE valve body gasket. It corrects the known cross-leak issue in the transmission. Shown here is the BD Trackmaster combination. Firstly, the overdrive shaft and the overdrive clutch hubs have been modified to accommodate more surface area for additional friction. The clutches shown are factory versus the BD stack up. The factory frictions have six inside splines and outside splines, whereas the BD stack it is increased to eight inside and outside splines. What does that mean? More friction plates allow for more clutch holding capacity and more steel mass. Also, BD uses a Sonnax drum in their kits because of their rigid design that allows heat to dissipate away from the clutches, resulting in longer lifespan. Just up the walkway, a few torque converter experts are hard at work. They’re tearing units apart and checking for internal leaks or damages to turbines and impellers. They’re also replacing factory stators for the redesigned BD stators offering maximum performance and efficiency. Depending on what horsepower you’re looking to achieve, BD offers anything from mild to wild when it comes to torque converter configurations. "Inside our CNC department is where all of our torque converter covers are in the final stages of manufacturing including this Hi5 Torque Converter used in our performance applications," said Roth. "This Hi5 torque converter is splittable, unlike other converters that need to be cut in half to make alterations." With this state-of-the-art design, you can pull out the converter and make your adjustments in just a few minutes. This bodes well for those who are testing different configurations on the track. Like most driveline parts that leave this facility, they are tested beforehand. The valve bodies are no different, and every one of them has the same line pressure and shift quality. Their testing station pumps fluid through the valve bodies as they are demanded to shift, downshift, and lock or unlock the torque converter. During testing, the 48RE valve bodies see a standard 100psi of line pressure and hold a maximum pressure of 200psi. This machine is drilling out the holes in the manifold for the studs to fit in. The process for the BD exhaust manifolds is truly incredible to watch. In a very narrow window, the manifolds can be cut, designed, painted, and ready for order in no time. To get the exact measurements of additional horsepower and torque from the upgrades that BD tests, they have an inground dynamometer which they use to see exactly what these parts are capable of. The inground dyno is great for BD to use for several purposes, such as their annual dyno days, or if someone is simply interested in the power of their truck. 2011-2016 Ford 6.7-Liter Power Stroke Scorpion Turbo Kits – As everyone knows, the factory VGT turbo on these models aren’t capable of a ton of power without risking monumental amounts of drive pressure. With the Scorpion kit, you’re ditching the VGT for a conventional S/3-S400 single turbocharger that is capable of so much more, with sizes from S364.5 SXE to S467SX. 2011-2016 Ford 6.7-Liter Power Stroke Venom Dual Fueler Kit – After installing your new Scorpion turbo kit, you’re already thinking about fuel modifications (if you haven’t already). Well, take your 6.7 to the next level with BD’s Venom Dual Fueler Kit. Using the location where your second alternator would fit, the Venom Dual CP3 kit utilizes the common Duramax CP3 injection pump and comes with fuel supply and return quick connects. The remote mount exhaust brake kit. 2011-2016 Ford 6.7-Liter Power Stroke Remote Mount Exhaust Brake – If you have upgraded to the Scorpion Turbo Kit, or any aftermarket kit that uses a conventional non-VGT turbo, you can use this remote exhaust brake and still have the properties of an exhaust brake without the restriction of a VGT turbo. 2003-2007 Ford 6.0-Liter Power Stroke Screamer Turbos – For those of you looking for a turbocharger that is a drop-in replacement, stock-appearing, and capable of more power than stock, the Screamer turbos are your pick. The Stage 1 turbo is capable of up to 425 horsepower, quick to spool, and can confidently tow. The Stage 2 Screamer turbos are capable of up to 530 horsepower and also usable for towing, but it is recommended that you add at least a set of 60-horsepower injectors to prevent lag. The Flow-MaX lift pump kit with fuel filter and water separator. 1998-2016 Dodge 5.9L/6.7L 2001-2016 GM 6.6L BD Flow-MaX Lift Pump Kit – The Flow-MaX lift pump kit comes with both a water separator and a fuel filter, and is needed when the OEM filtration system has been removed. This single pump flows 150 GPH and supports up to 800 horsepower. This quiet and compact design is a top-notch product and uses easy-to-find, non-proprietary filter cartridges. 2003-2016 5.9L/6.7L Dodge 2001-2010 6.6L Chevrolet R900 12MM Stroker CP3 – Due to the displacement of the pumps at extreme horsepower/RPMs, the vibration that could occur causes a binding issue. BD’s alteration utilizes a centering ring that removes any vibration, allowing you to run more RPM safely. 2003-2017 Dodge 2500/3500 Traction Bar Kit – For a competitive price, BD’s traction bar kit can be installed without any welding on the truck. With this kit, you will prevent wheel hop, axle wrap, and large angles on universal joints. These bars accommodate trucks with six inches of lift, down to trucks with a two-inch drop. At 54 inches from eye to eye, these 2-inch OD tubes are tough from all ends with 28,000-pound heavy duty rod ends. The traction bar kit prevents axle wrap on diesel trucks. BD makes one of the largest lines of products focused on the North American diesel pickup truck, stocked in large distribution outlets throughout the country. You can call, drop by, or reach them through your local outlets. 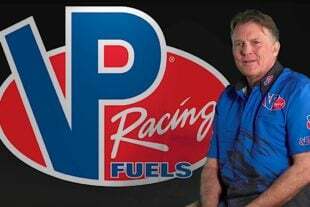 They also have a great online site and are very active in supporting the diesel racing market through their BD Race Team. Watch for them as their innovation is driven by diesels. For more information on what BD Diesel Performance can do for you, check out their website.